Secret is dead: RIP Secret. It turns out that people are pretty awful when there are no consequences, but Secret's failings were ultimately down to not fulfilling a "vision", so said the founder. But getting those secrets out is therapeutic for those of us with a tendency to wallow. So what will you do with all your deepest, darkest secrets and confessions now? 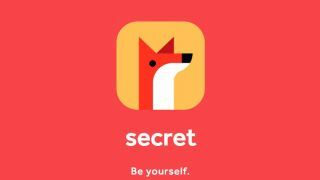 The pretender to Secret's throne, Yik Yak's schtick is that it will help you "find your herd" by anonymously posting your thoughts to a feed based on location. People can upvote and reply anonymously to your anonymous posts so, theoretically, you end up feeling less alone. After three seconds on the app, it becomes clear that most users are young people taking exams. Caution: you may feel old and tired and alone. We posted our secret about how we didn't have any secrets and it was eating us up inside, and, actually, yeah, we do feel a bit better just getting it out there. After three seconds: no upvotes or replies. We checked again every eighteen seconds for the next four hours before we accept that no one else is going through the pain of being secretless. Even the person who just said "Looney tunes" got two upvotes. We feel much worse than before. Wizters lets you share text pictures and video anonymously. You can share anonymously with your Facebook friends, it says, but we don't trust it enough to link it to a Facebook account (and we're pretty sure none of our friends are on Wizters, either). There's no iOS app yet so we sign up online and we were instantly depressed by the homepage which makes a big deal about having nothing to show us. Start a group with your friends! It says - we don't have any friends on here, so thanks for making us feel forever alone. Our first anonymous post summed it all up: "People are the worst." Nothing happened. We clicked around a bit trying to join a group or start a group or do anything to alleviate the feeling that we are the only one in on this website, but nothing happened. We gave up. Cloaq thinks you need the mask of anonymity before you can become who you truly are; its a social network that lets you share and comment on stories without anyone knowing that witty riposte was actually written by a 43 year old accountant with elbow patches. It chooses a secret codename for you, which we didn't realise until after we'd spent five minutes trying to log in with our own personally chosen handle. Most people seem to be using it to ask advice from the community of could-be-anyones, rather than sharing secrets. We asked if anyone ever wonders if they are wearing the clothes they will die in. No answer yet. Whisper is what you'd get if Secret, Post Secret and Yik Yak got together and had a baby. Every secret comes with an image and a location tag so you can share your pain with those around you. You can use your own image, or you can let Whisper pick one for you based on your secret. My secret was about how I wish I was taller (welcome to my inner psyche) and the image it chose was of a very tall woman next to a very short woman which seemed a bit insensitive to be honest. To pass the time while the likes came flooding in, I had a look at the local secrets based on my location and they were all basically humblebrags about how popular or tall they were. Whisper also has a messaging function, so we sent someone called Mr_Haze a message of congratulations on his secret about people watching. He has yet to respond. DiaryMS is a little different in that it's not ALL about the social. It's primarily a digital diary for pouring your heart into, but for the brave there's the option to publish their entries publicly. The result is a rolling feed of pathos and high school crushes, as users upvote and comment on one another's anonymous confessions. Usually, dare we say it, those comments are actually quite nice and supportive. Most of these confessions are heartfelt and sometimes even poignant, but perhaps none more so than the person who simply posted "I want to buy a lovely cat". If you just have to get your secrets out without any fear of repercussion, this is one method that never fails. Also works for cursed crockery, warts and the staked hearts of vampires.